Cops Thought They Found Stolen Vehicles, But What They Really Discovered Was Horrifying! To understand what happened, we have to go all the way back to 1970 when three friends jumped in their car and headed to a football game. They were never seen again and the missing persons case was never solved – Until now. 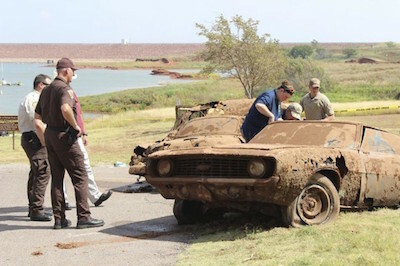 In 2013, 43 years later, Oklahoma state police officers discovered cars at the bottom of the lake, which they thought were stolen vehicles. However, what they actually uncovered, shocked and horrified them beyond imagination. 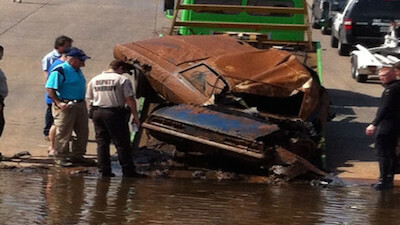 Will they ran the plates of one of the cars which was a Camaro containing the bodies of the missing teens. 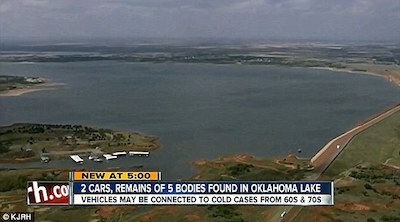 But there was another car with three more bodies inside, who were they? 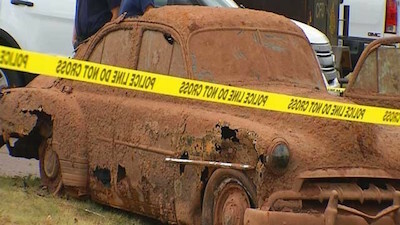 The second vehicle, a 1952 green Chevrolet, is believed to have contain the corpses of three unidentified individuals dating back to the late 50s or early 60s. 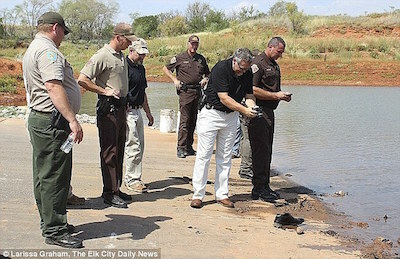 Although the bodies have still not been identified, and Elk City resident Debbie McManaman, has come forward stating that her grandfather went missing years ago and she recognized the vehicle as his. Not only did the police solve one missing persons case that day, they solved six! 25 Fast Food Chains Ranked On Antibiotic Usage – See Who Gets The WORST Grades! 15 People Who’ve Got This Parenting Thing Down!